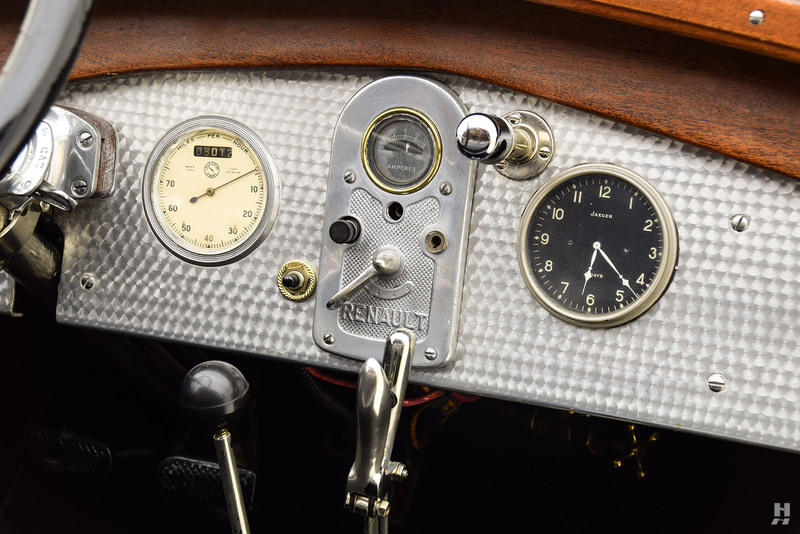 Louis Renault, an aspiring engineer who had become bored with his work in the button-making business, built his first motorcar in a small workshop behind his father’s home in 1898. 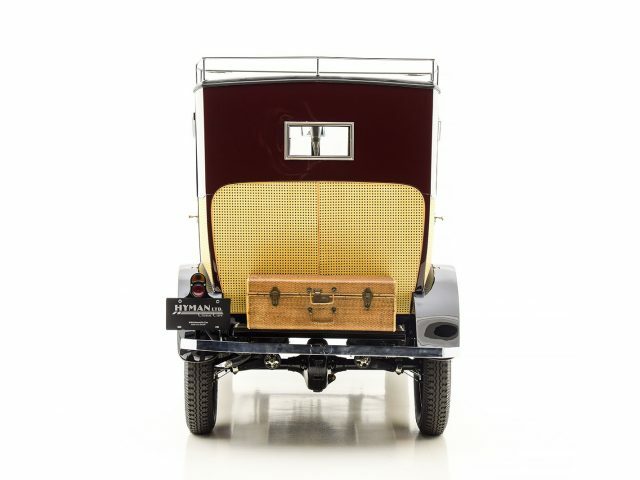 He designed the chassis for his tiny voiturette himself, built it out of tubular steel, and fitted a De Dion Bouton engine of 1 ¾ horsepower. 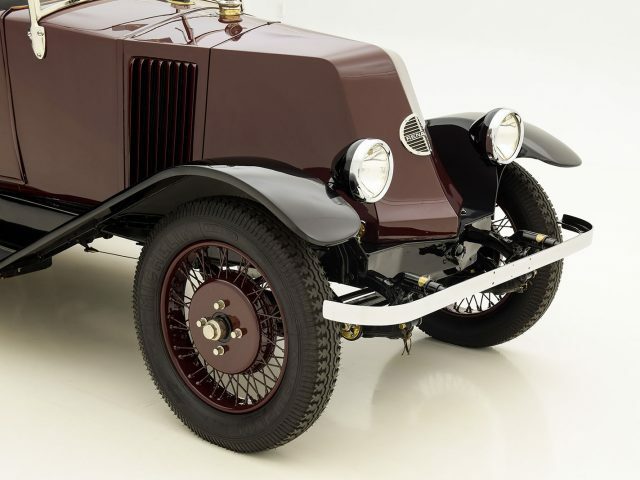 The car worked quite well, the tiny 43” wheelbase chassis featuring the engine up front and a clever shaft and bevel gear arrangement to drive the rear axle. 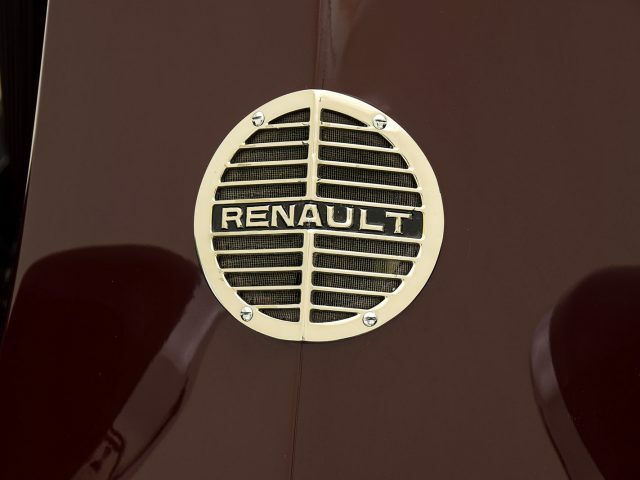 Louis teamed up with his brothers Marcel and Ferdinand who had both gained experience working in their father’s textile business and in 1899, Société Renault Frères was established, with Louis handling the engineering and his brothers the business. 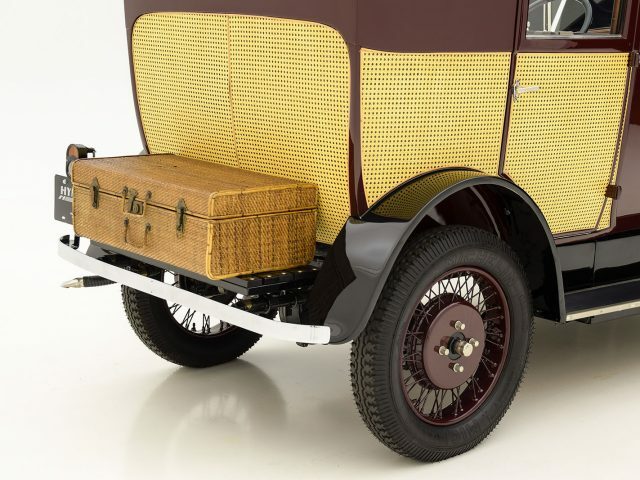 Their first car, a 1CV Voiturette was sold to a friend of Renault’s father – thus planting the seed of what would become one of the greatest French marques in history and a global powerhouse. 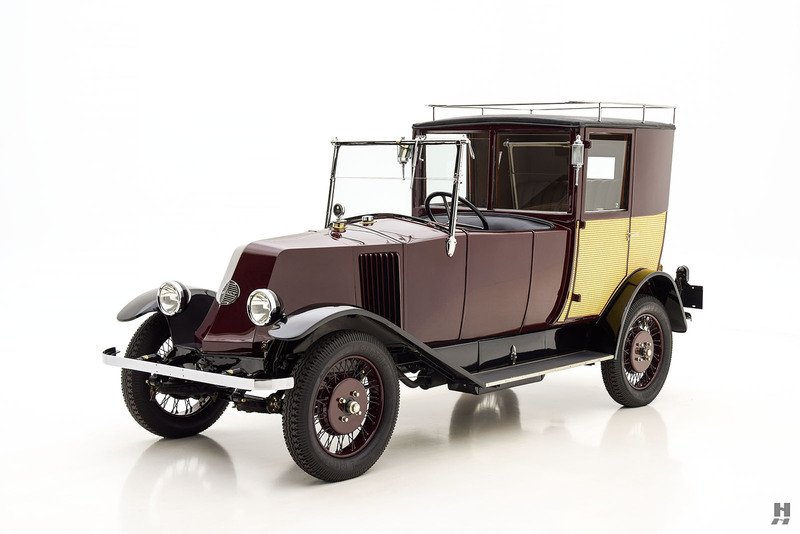 Renault would go on to produce a vast array of motorcars in the early 20th century. 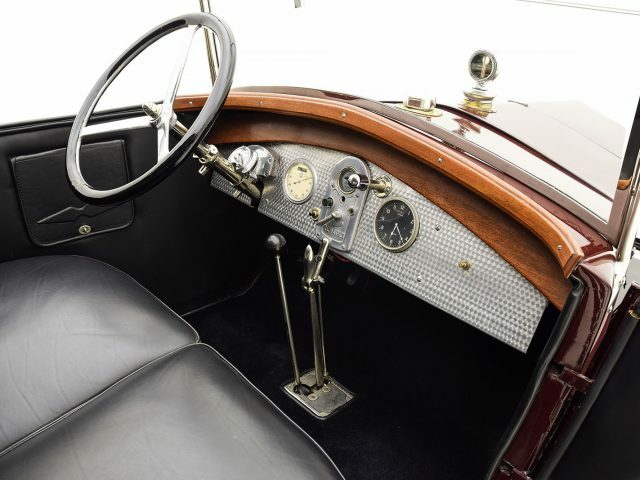 Motorsport competition was always a priority; however the company did not limit itself to building strictly high-performance machines. 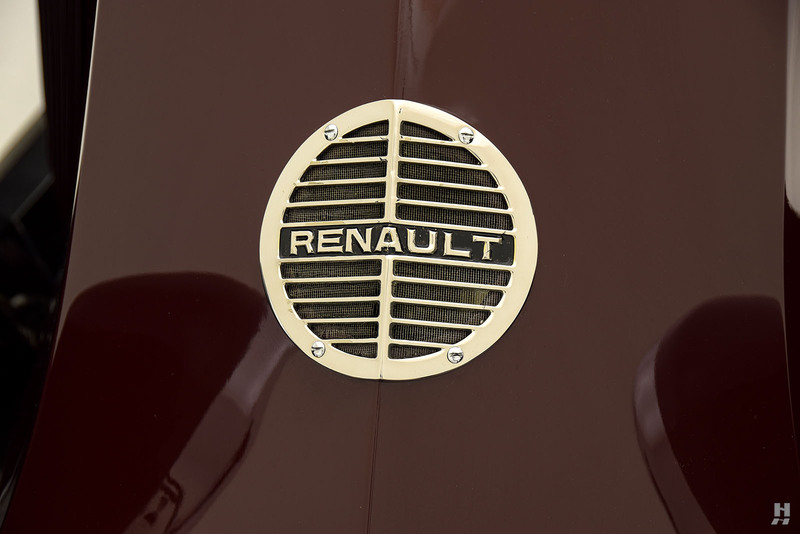 Renault would supply cars to virtually every facet of French society. 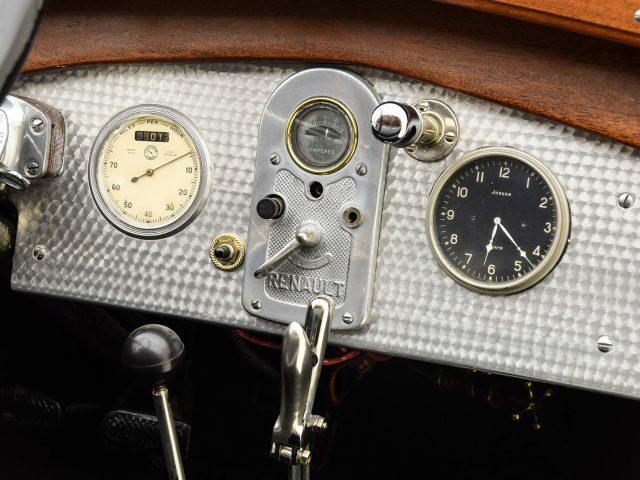 From taxis to coachbuilt touring cars to grand-prix winners, Renault has built it all. 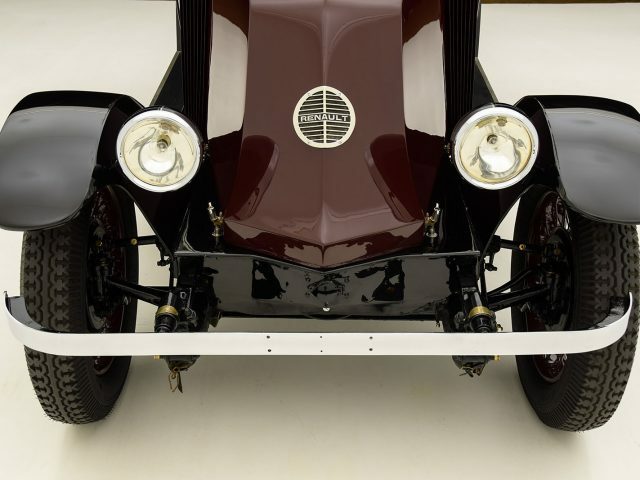 By 1907, Renault had become the largest automobile manufacturer in France, and experienced prolific growth with hugely popular models such as the AX, a twin-cylinder light two-seater. 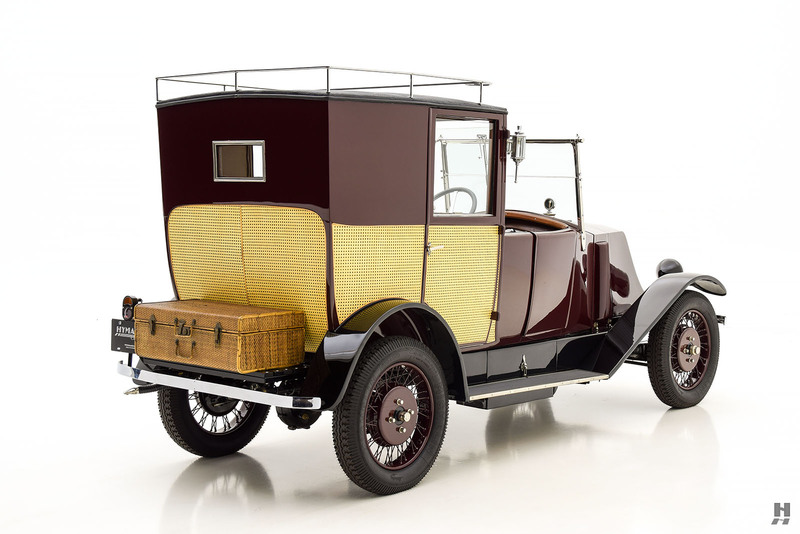 The semi-commercial AG would become the standard for Parisian taxis for years. 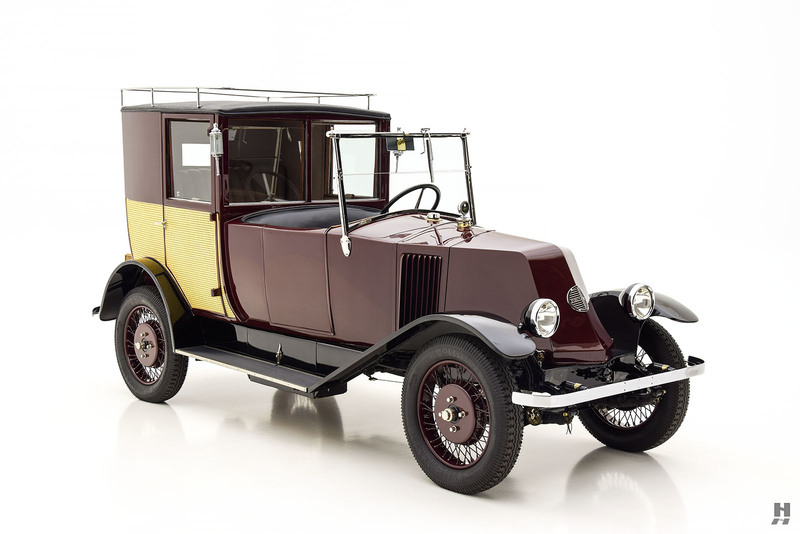 Following World War I, the NN (also known as the 6 CV for its tax class) would appear as one of a series of models intended to replace the AX. 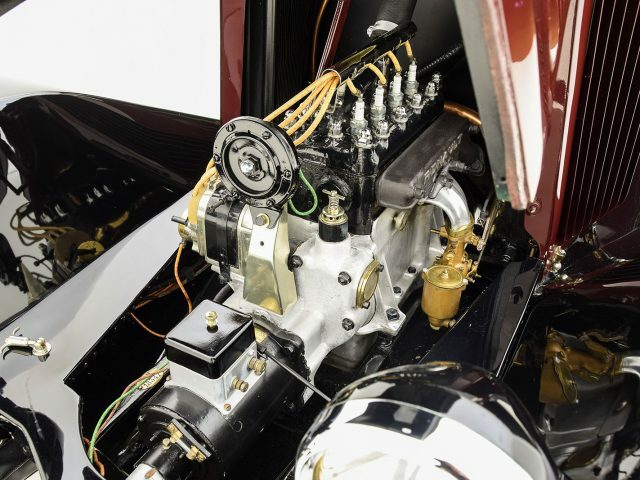 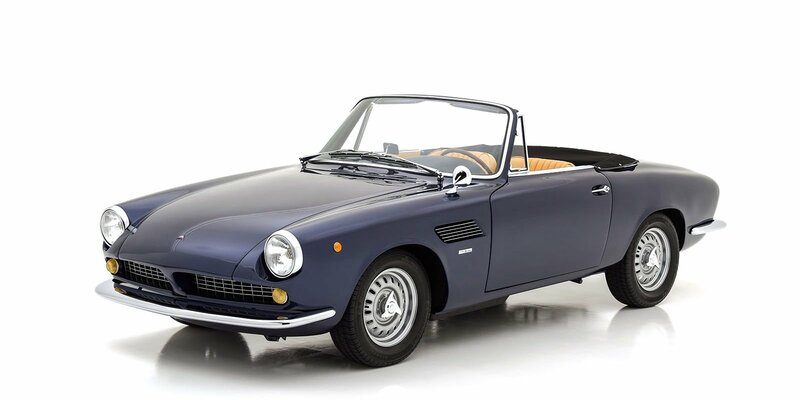 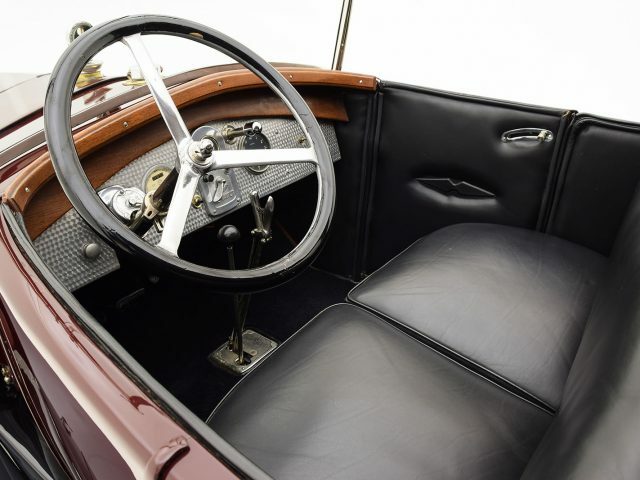 Powered by a four-cylinder, side valve engine of just 950 cubic centimeters (about 58 cubic inches) the engine the NN proved to be an equally popular middle-class family car. 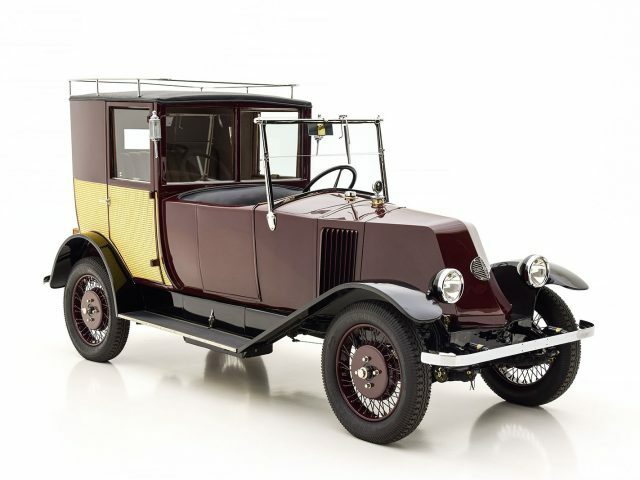 Renault touted the reliability of the NN when, in 1927 George Estienne became the first to make a solo crossing of the Sahara Desert by automobile, and when one example was tested for over 200 continuous hours at the Circuit du Mirama where it covered 10,000 miles. 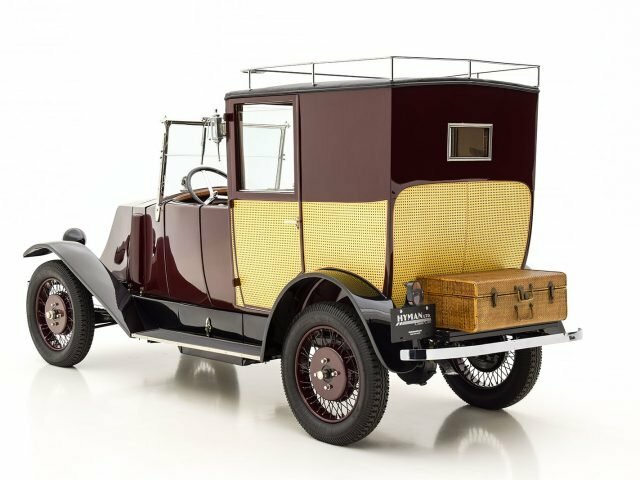 This delightful Renault NN 6 CV is rather unusual in that it has been fitted from new with this coachbuilt, open drive limousine (also known as a Town Car) body by Henri Labourdette of Paris. 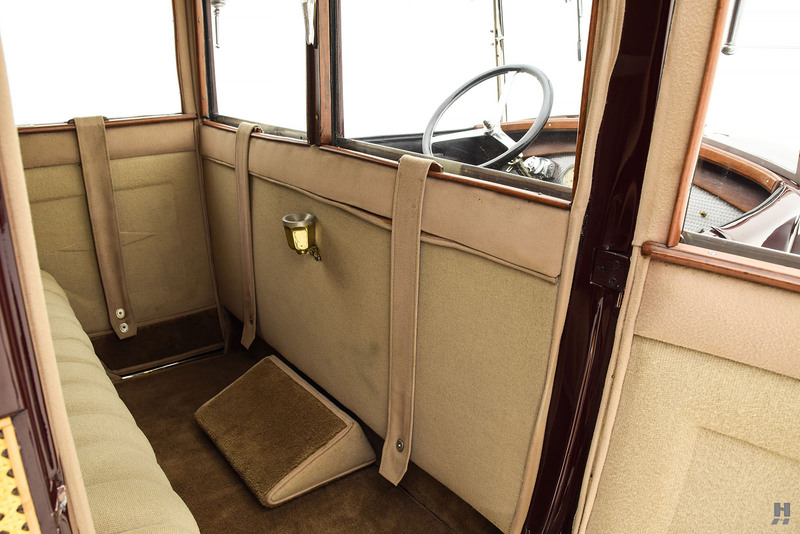 The NN was typically a hard working family saloon, so this compact but well-proportioned limousine is somewhat of an anomaly. 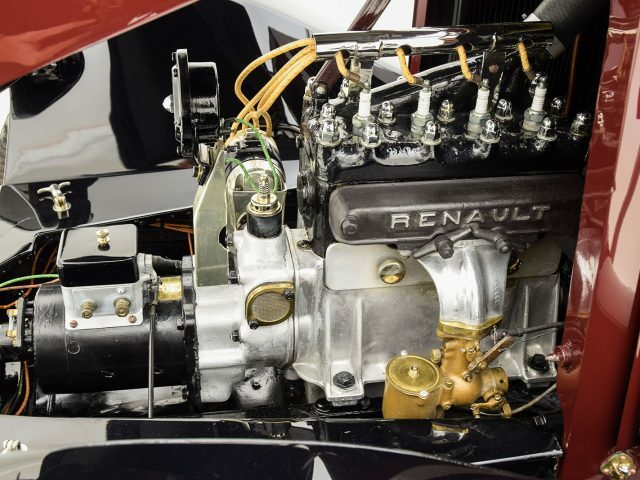 According to Mr. Bob Sullivan of Olympia, Washington who acquired the little Renault in the 1990s, the car was designed to be used by a Hollywood Studio to showcase child stars when transporting them to publicity events. 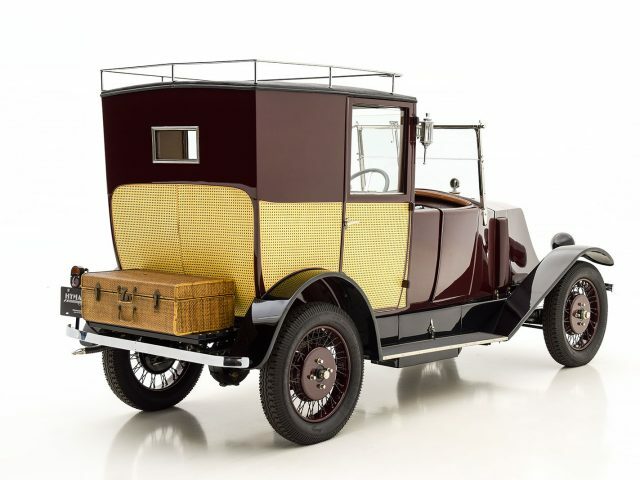 We have yet to confirm this, though the car’s diminutively proportioned yet elegantly styled coachwork certainly lend a good deal of credibility to the story. 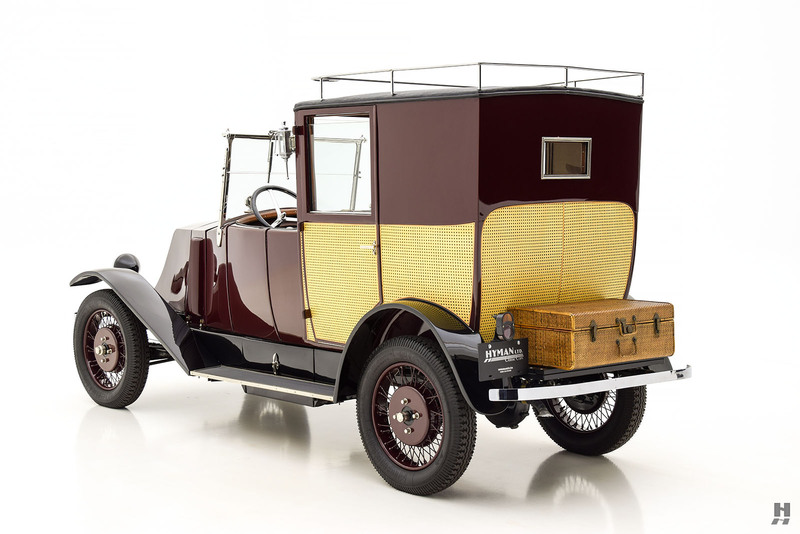 Labourdette bodies were known for their quality and creative design, and this car is certainly no exception. 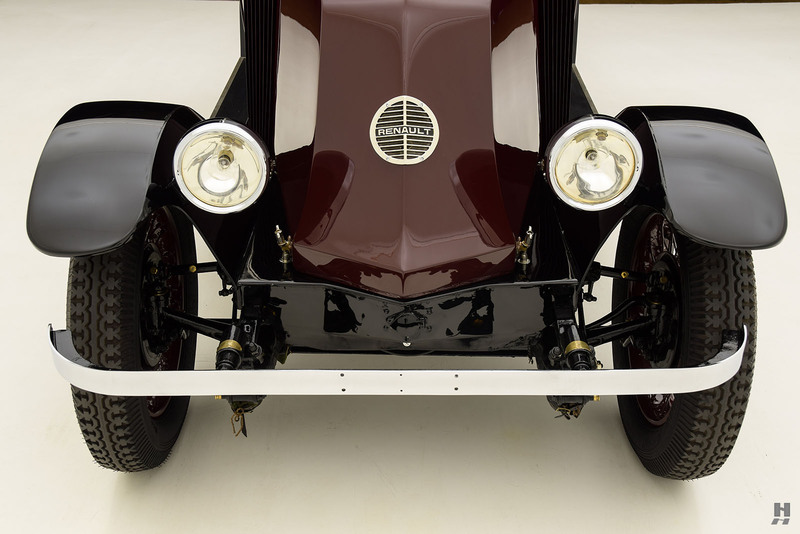 The standard Renault “shovel nose” front end is retained, but from the scuttle back it is all Labourdette. 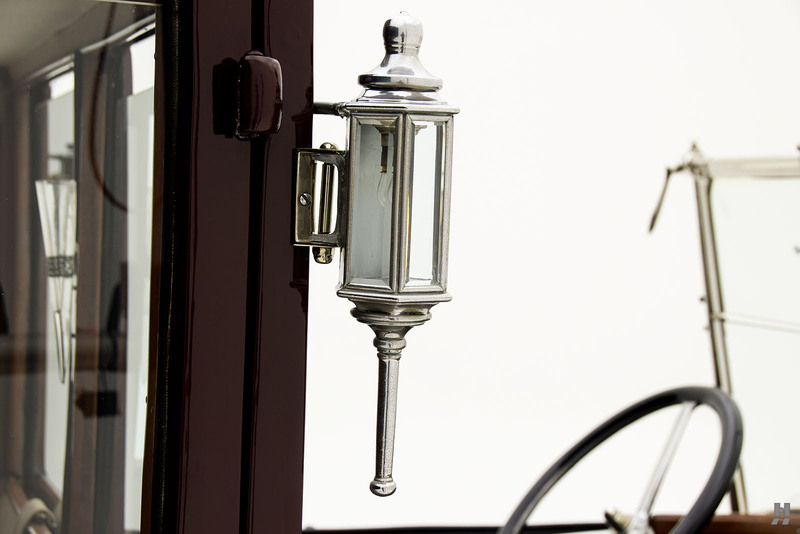 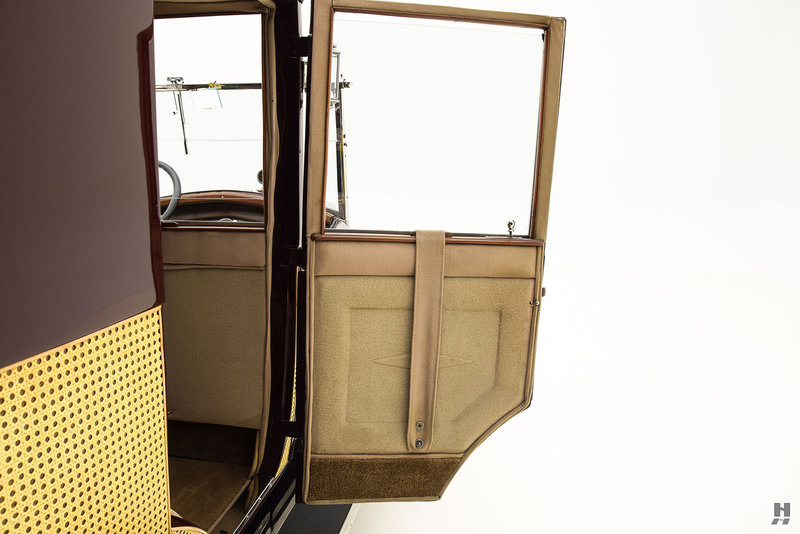 The driver’s compartment is open, with a tall but delicate nickel frame windscreen. 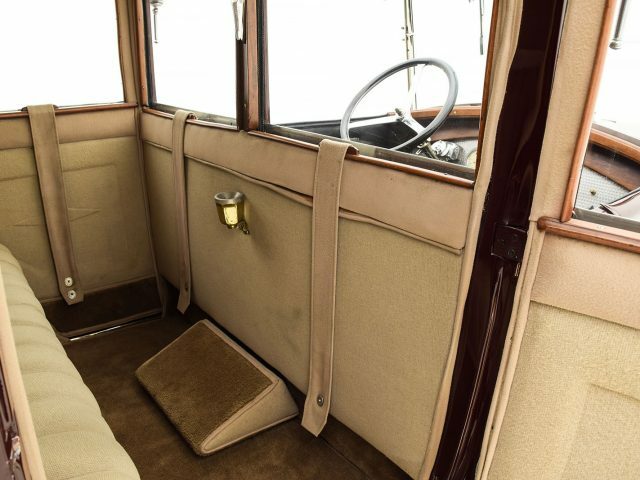 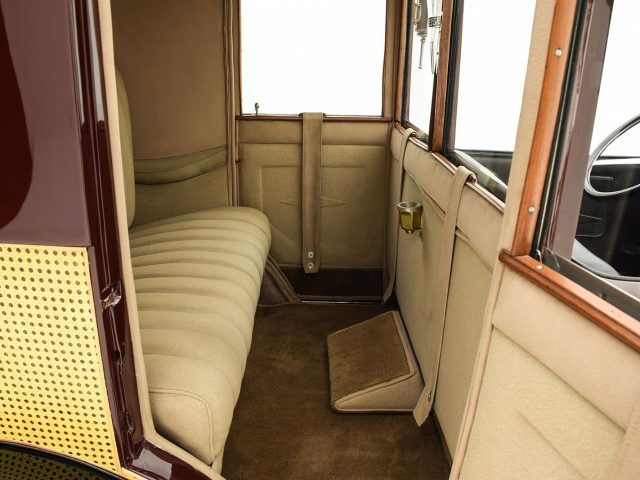 The passenger compartment is lavishly decorated with wicker cane panels, a nickel roof rack (adorned with a wonderful period wicker suitcase), nickel carriage lamps, and a split divider window that features two separate opening panes. 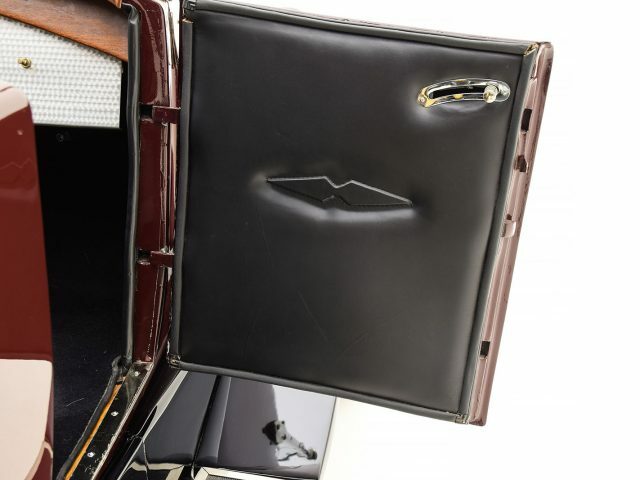 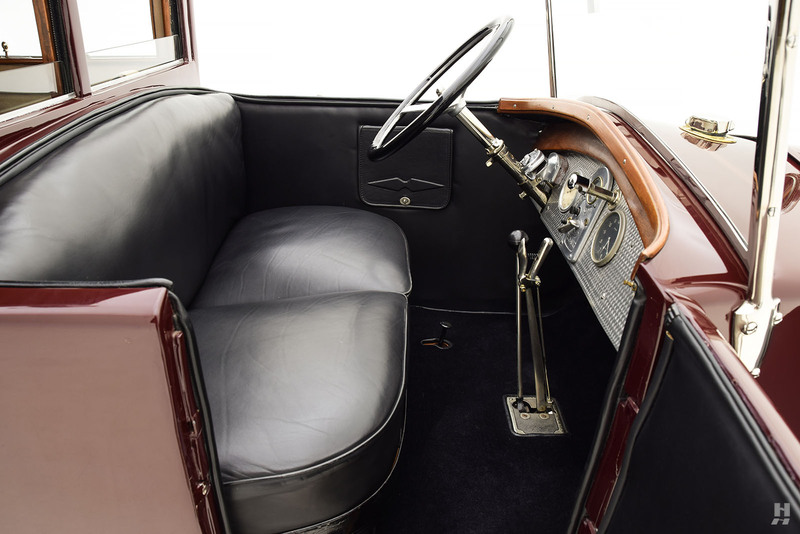 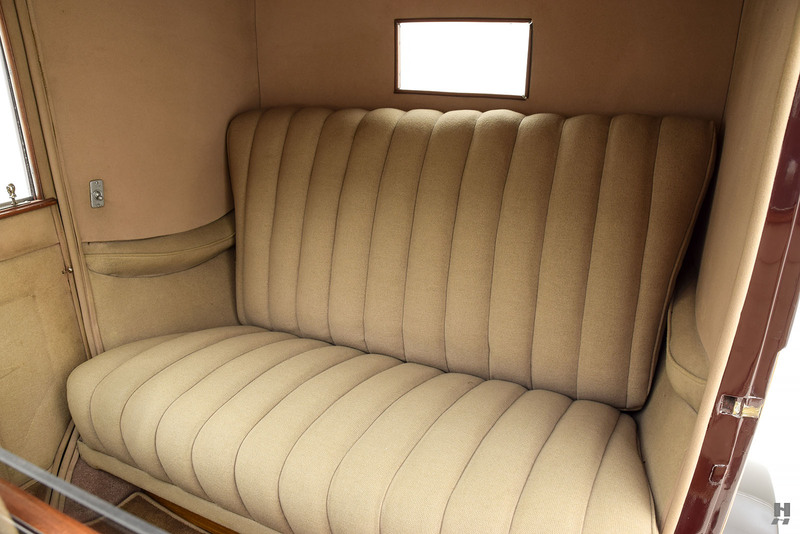 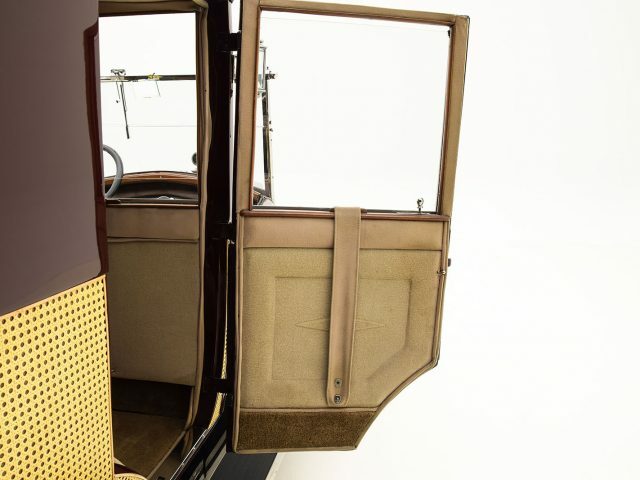 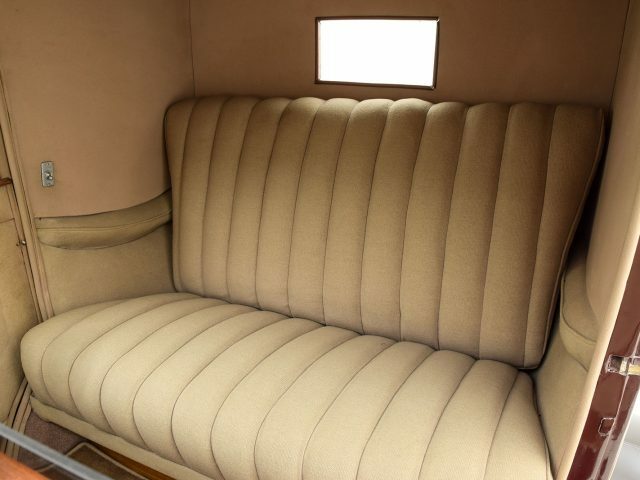 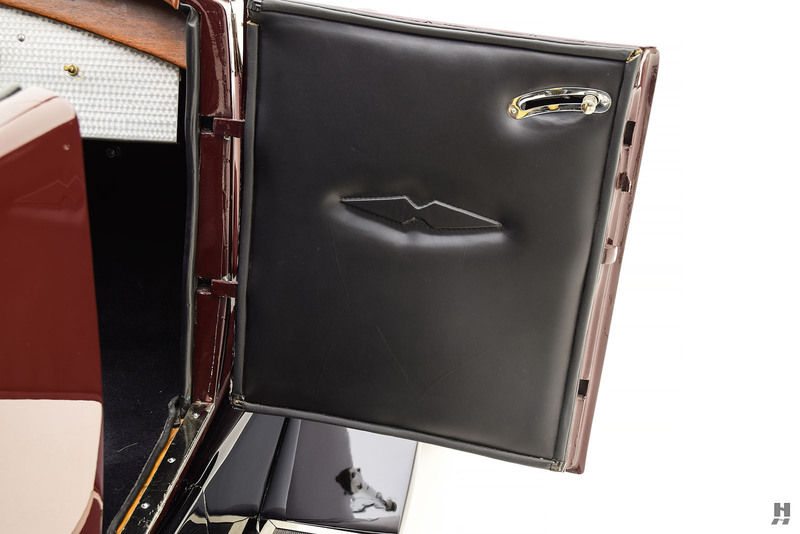 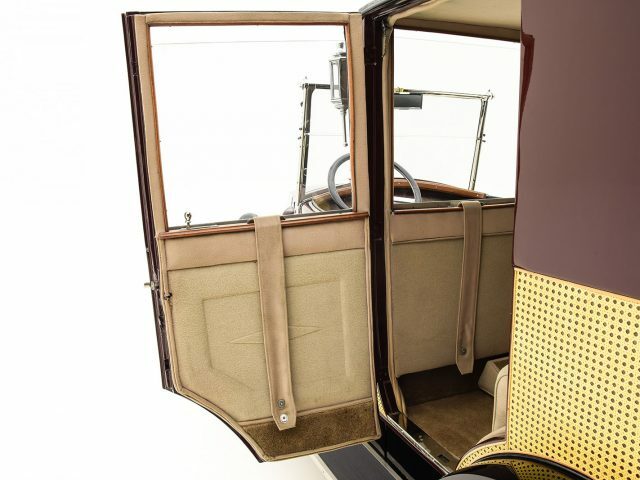 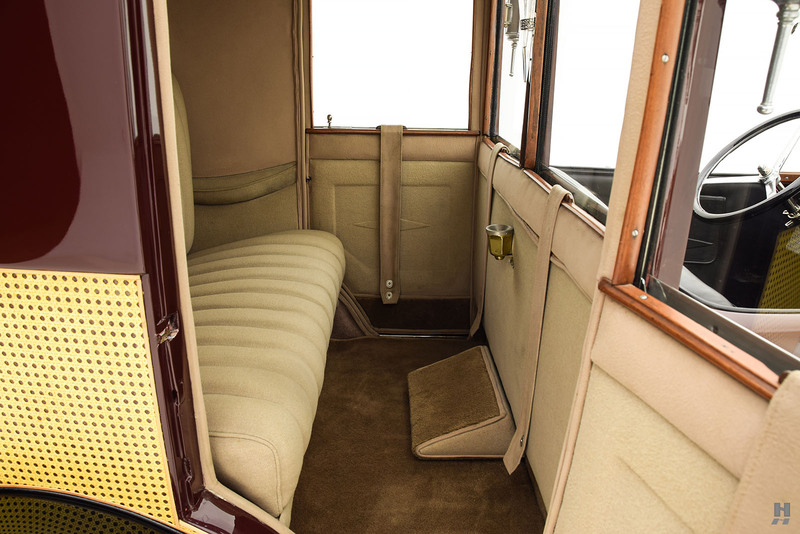 It retains a certain “people’s car” charm as the carriage windows open and close with simple straps rather than complex regulators, and the passenger compartment, trimmed in tan fabric is elegant and comfortable yet simple. 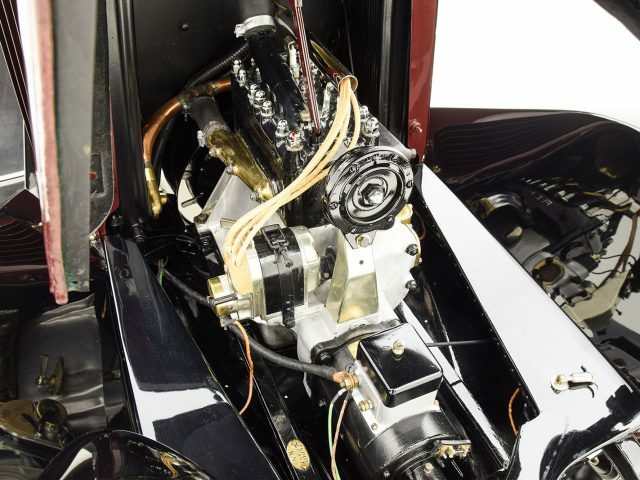 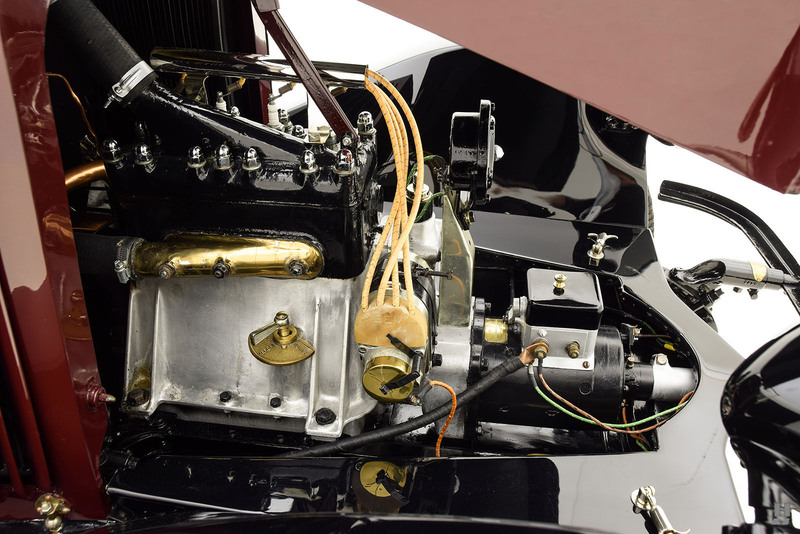 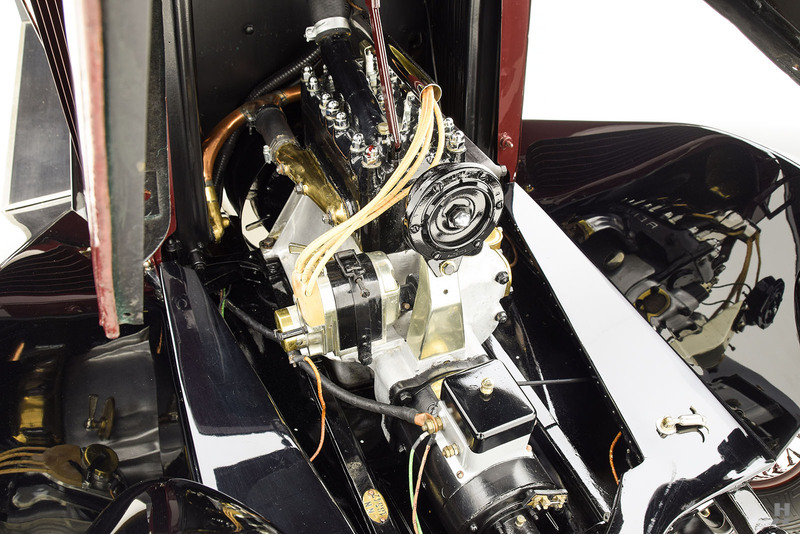 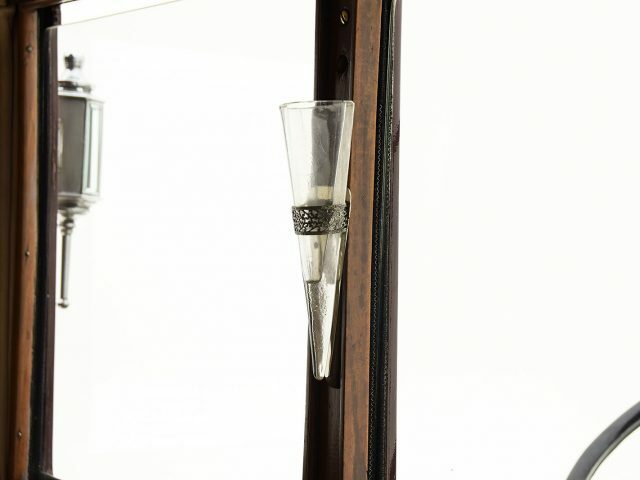 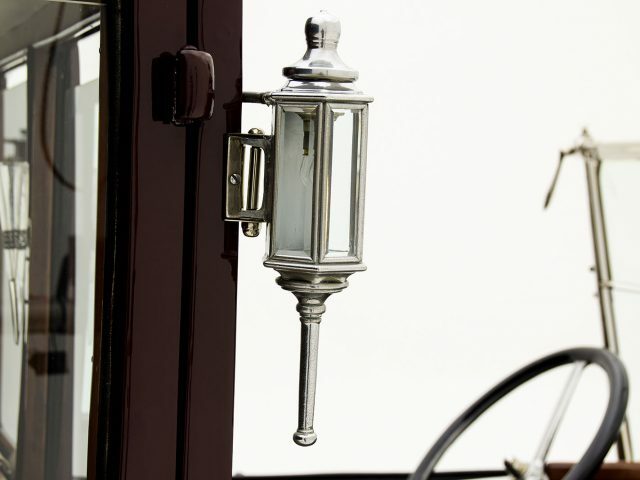 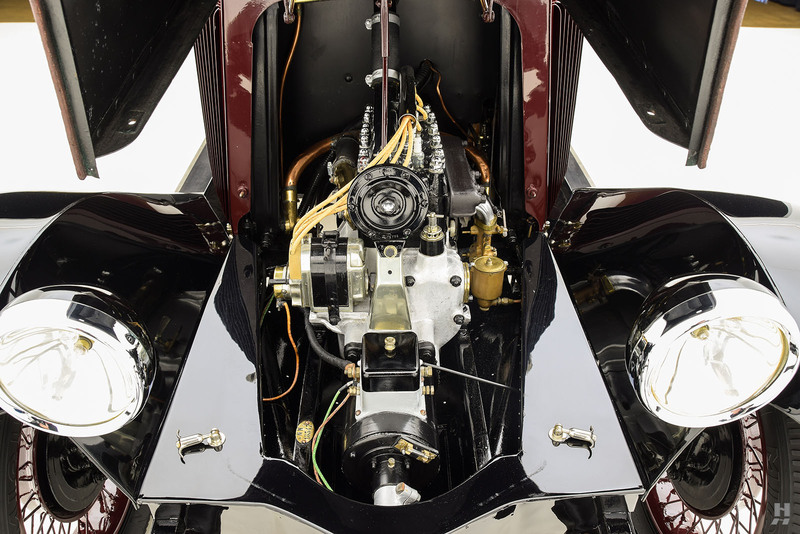 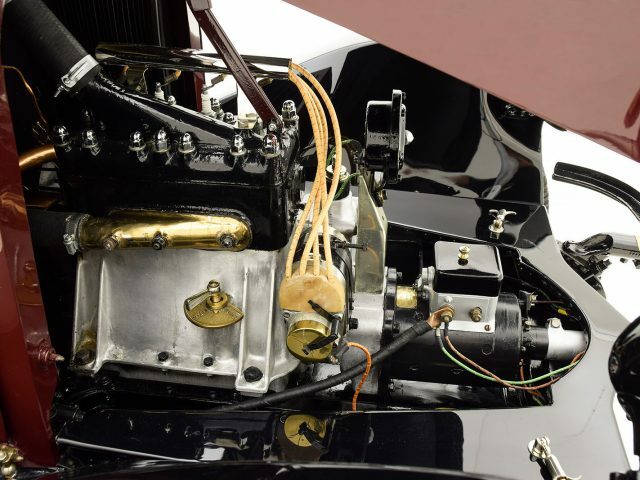 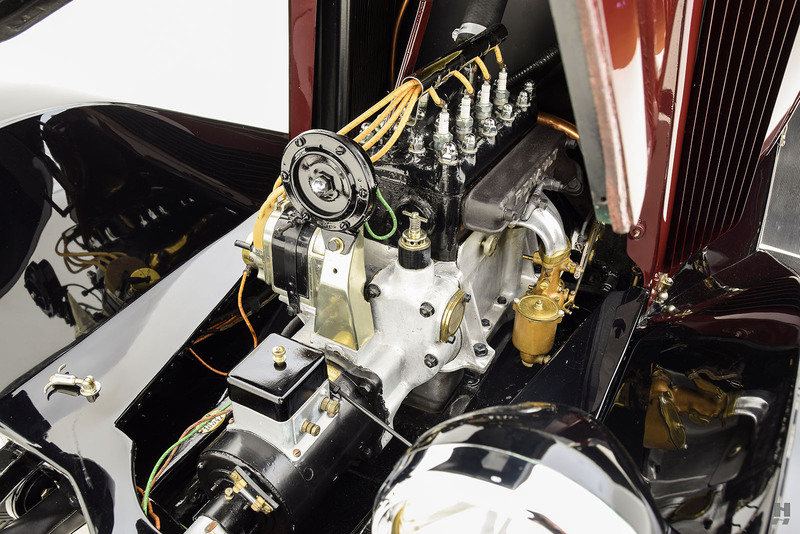 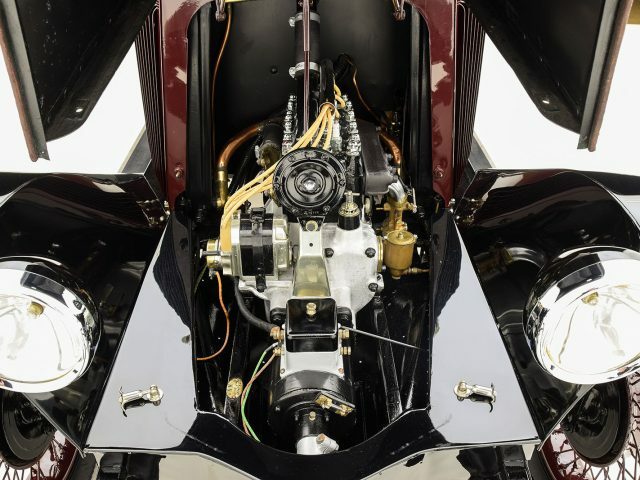 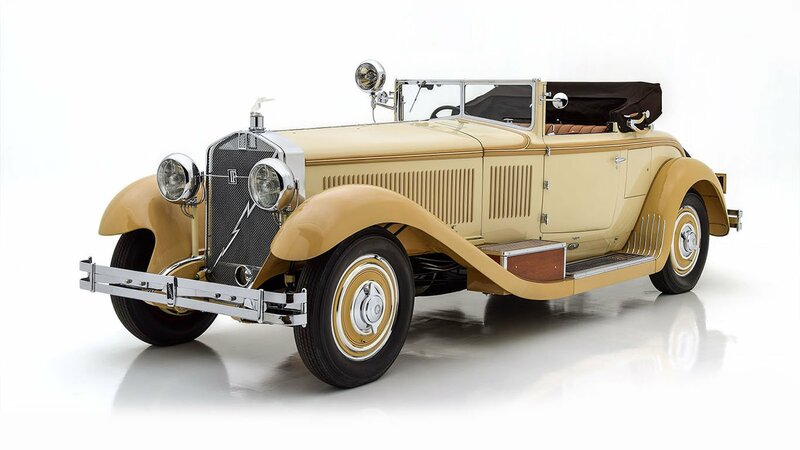 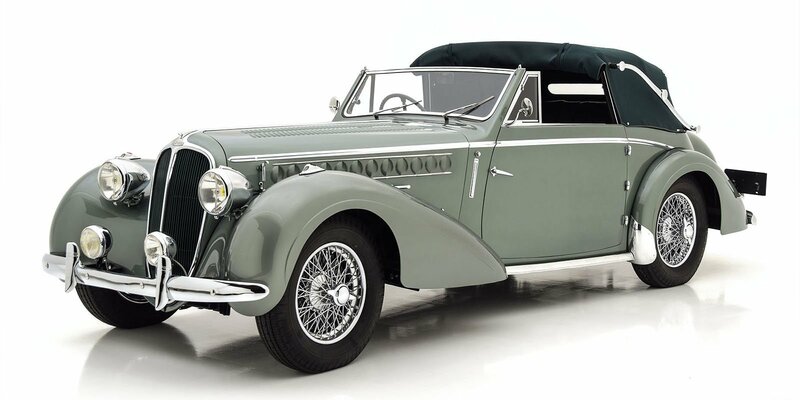 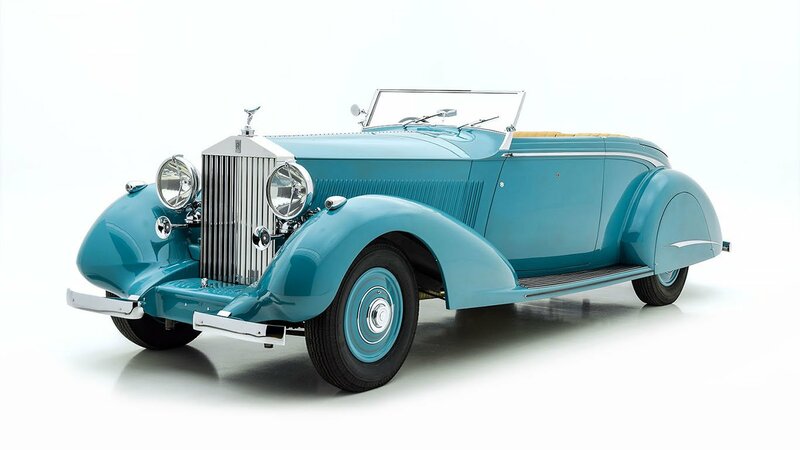 The quality of the presentation is very good, with the older restoration performed by Hillcrest Motor Company of Los Angeles having taken on a moderate patina. 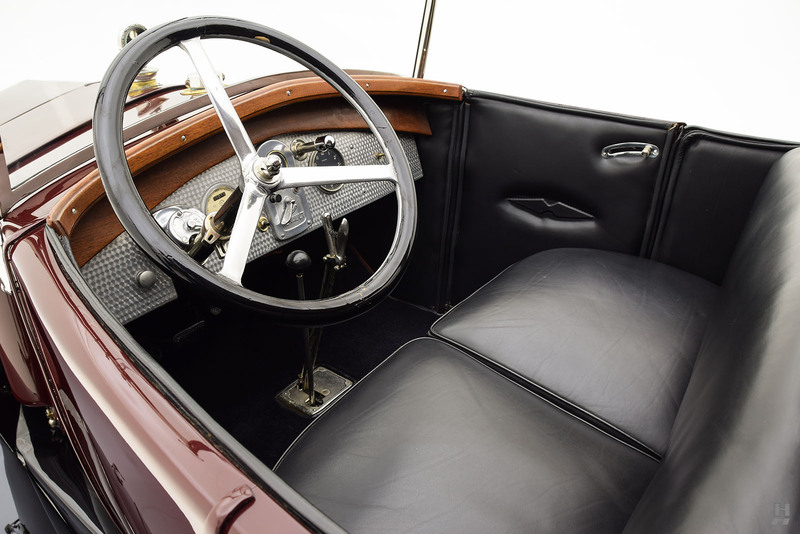 It is not over restored, and the paintwork remains in very good order, with minimal blemishes and good quality detailing. 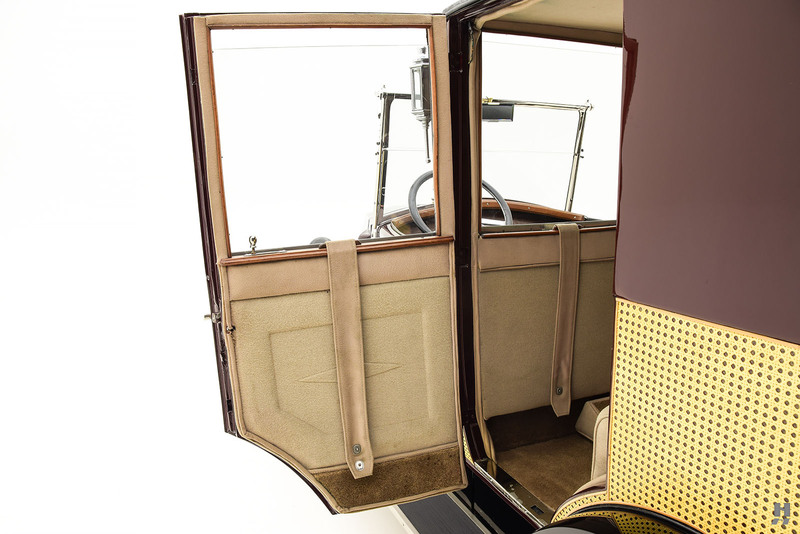 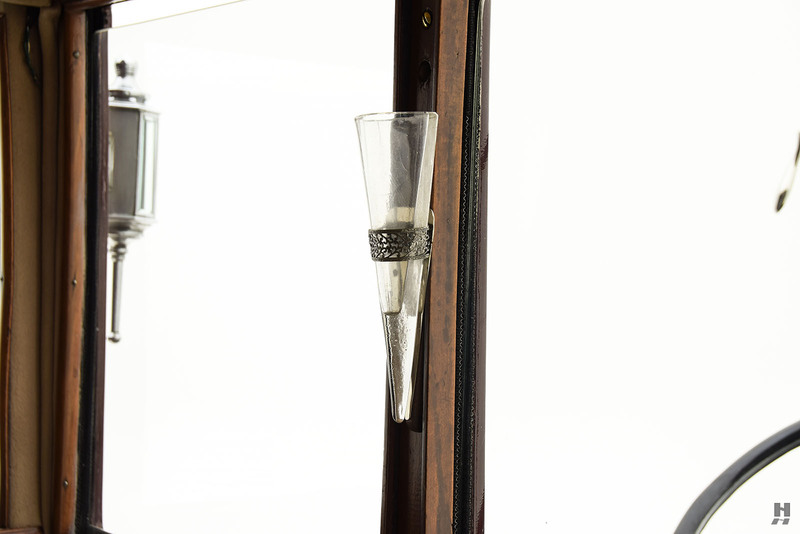 Caning on the rear panels is excellent, with no signs of peeling or damage. 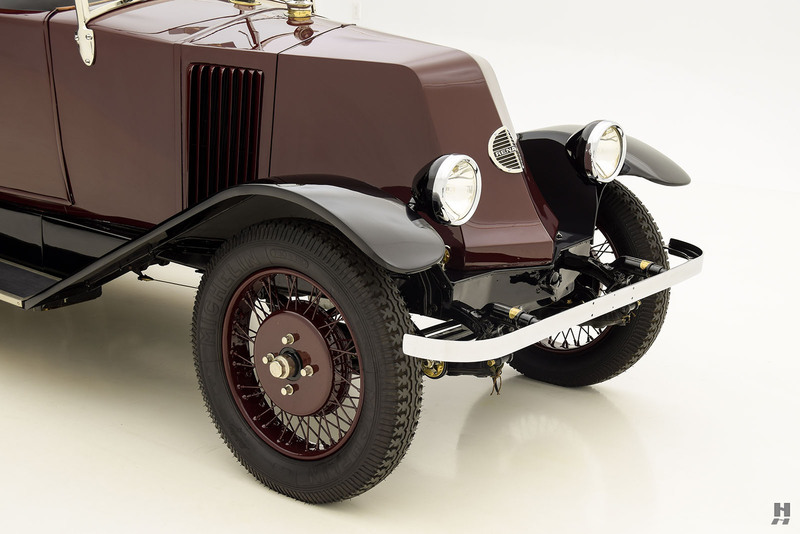 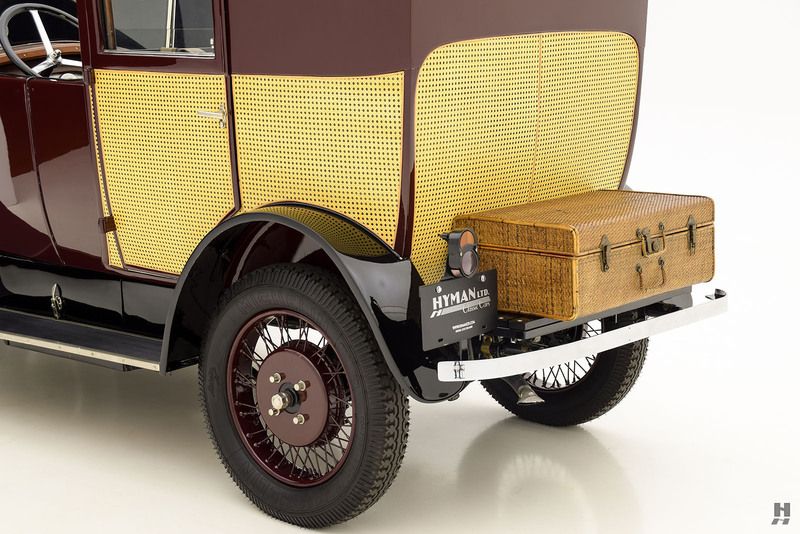 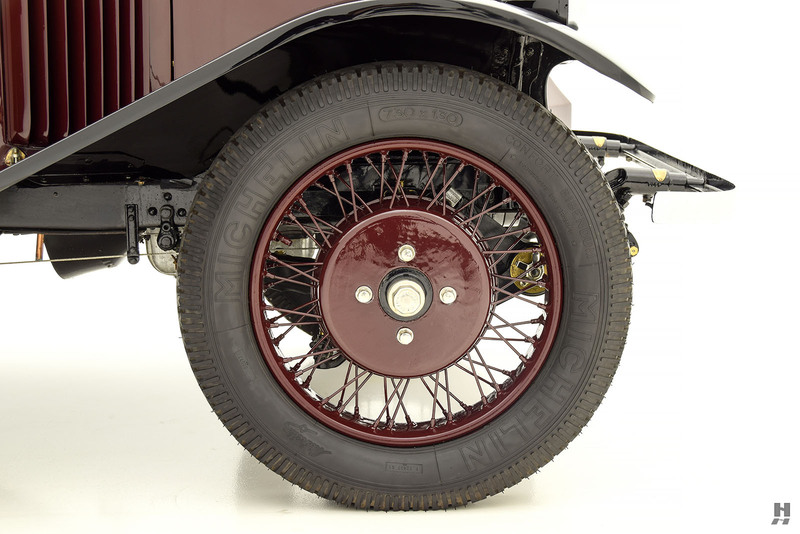 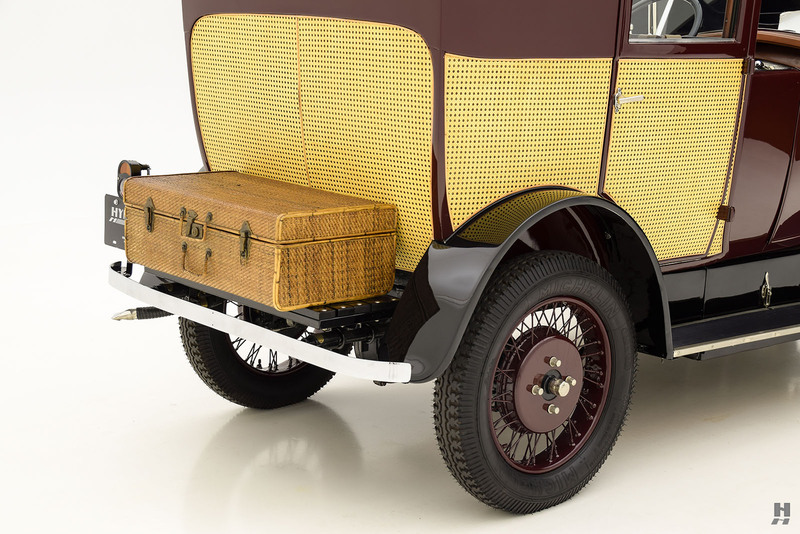 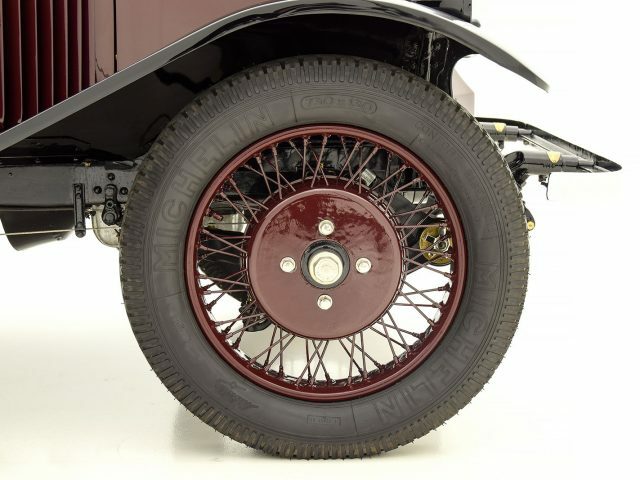 The maroon body is accented with black fenders and where most NN models featured disc wheels, this car is fitted with unusual wire wheels – presumably selected to better complement the expensive Labourdette coachwork. 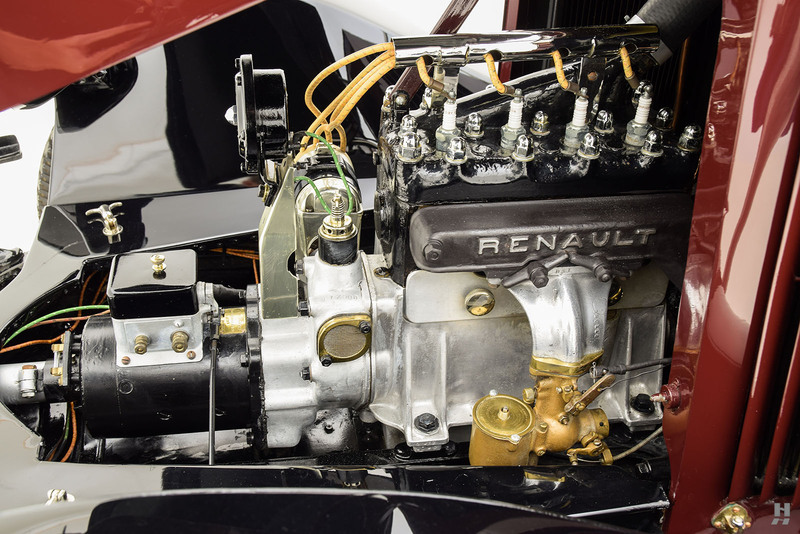 In mechanical terms, this Renault is in very good order, with the engine running well and nicely presented in the engine bay, in keeping with the mellowed nature of the restoration. 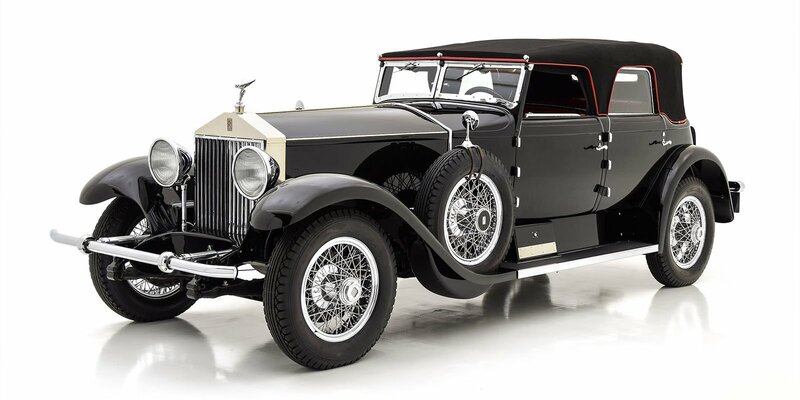 It could easily be made into an enjoyable companion for casual touring, and would certainly be one of a scant few to grace American roads. 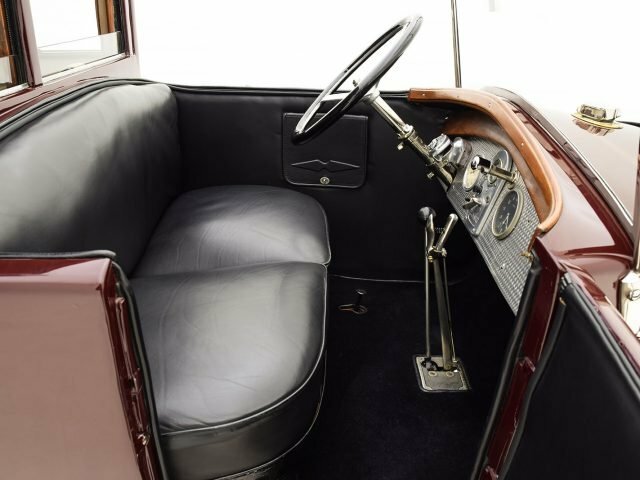 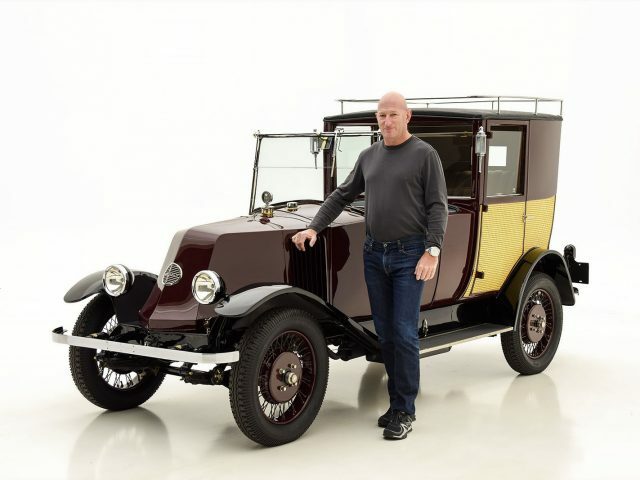 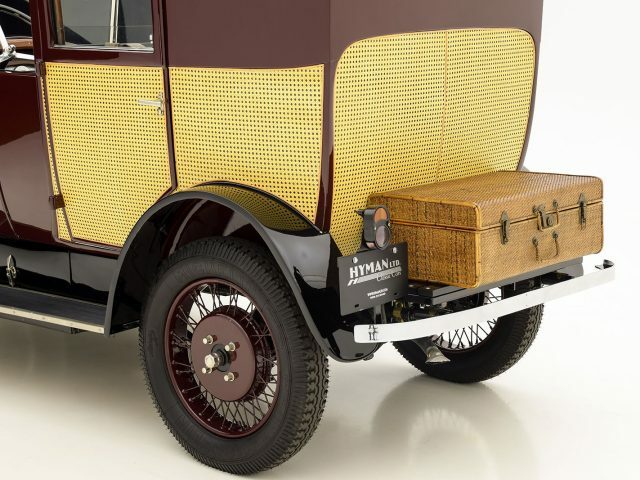 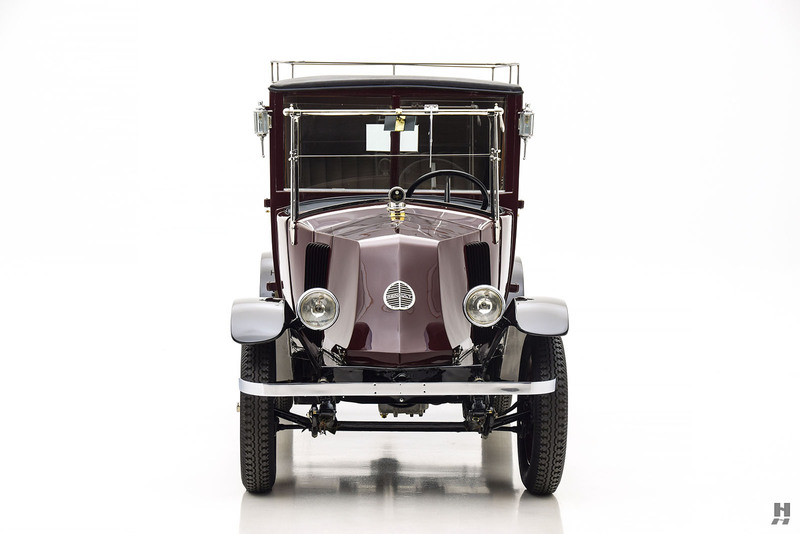 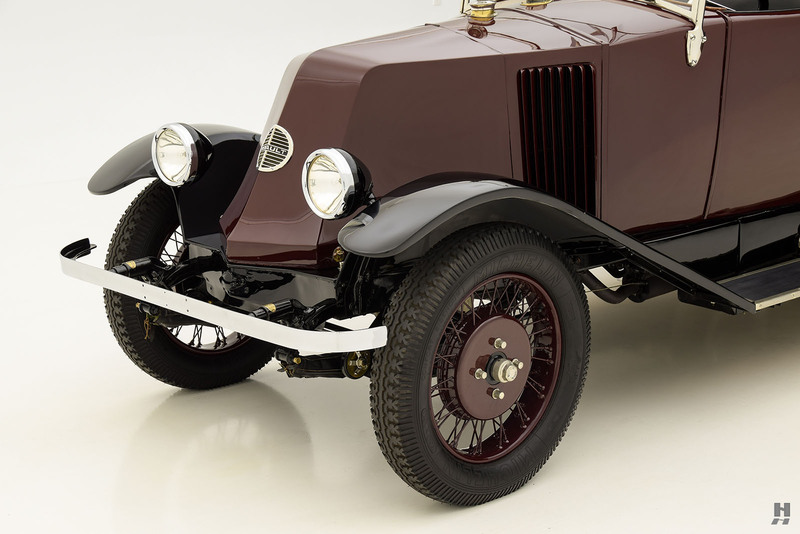 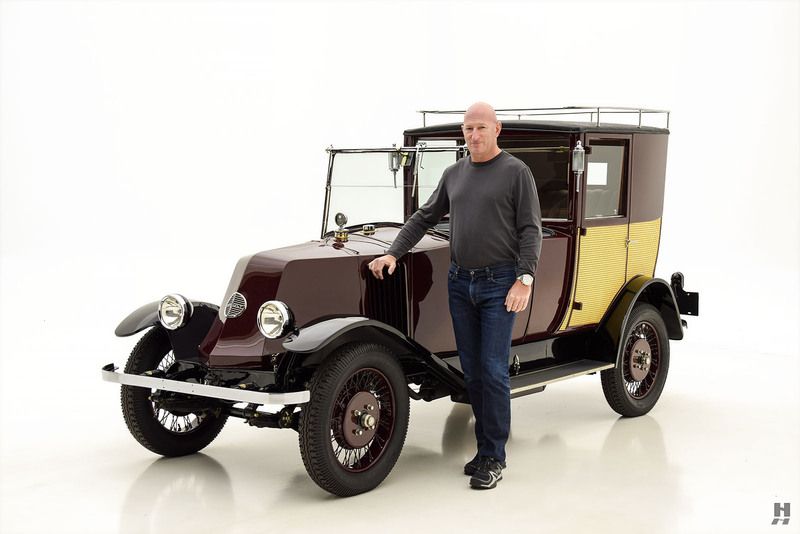 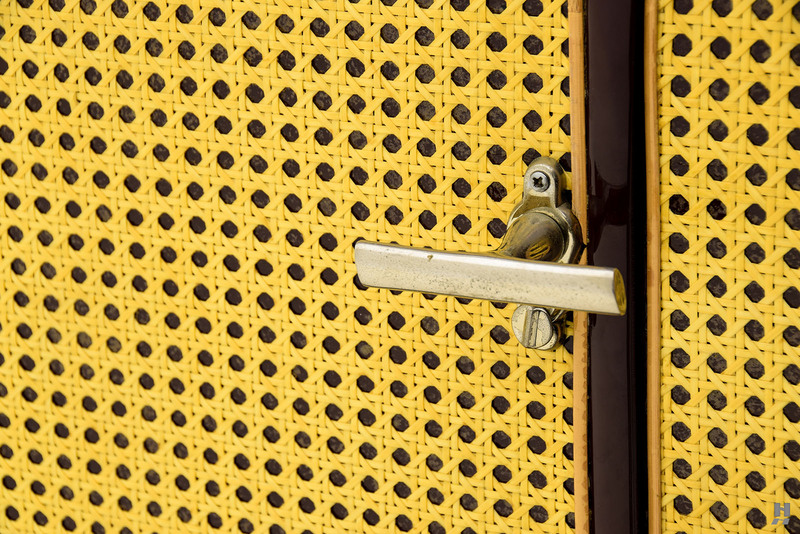 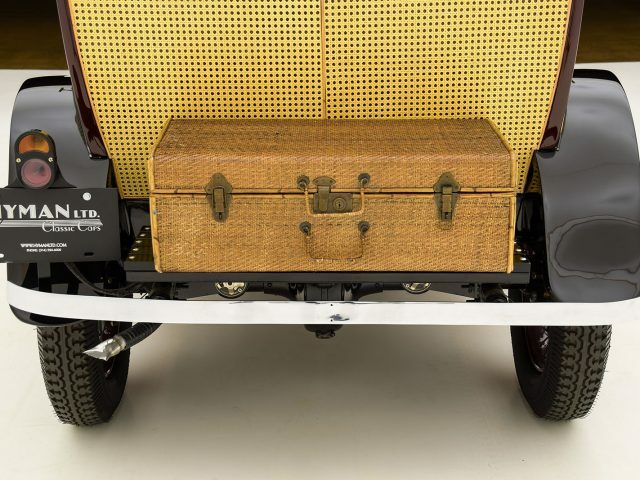 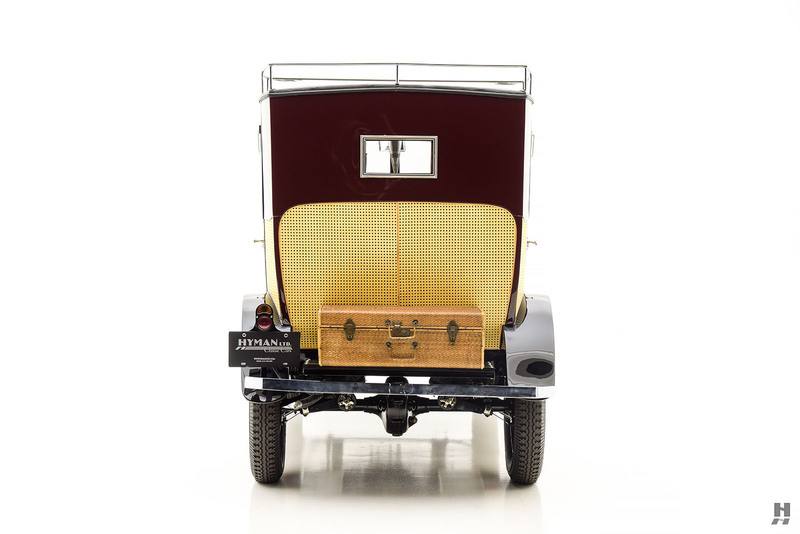 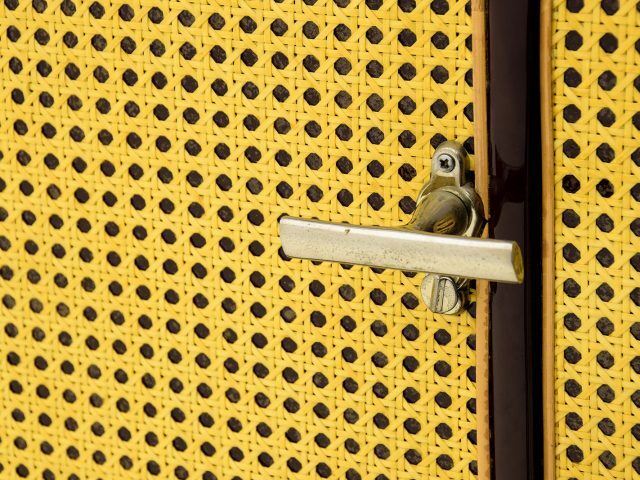 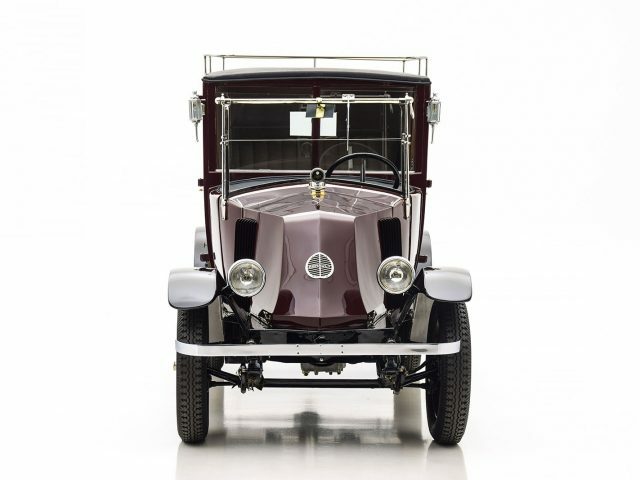 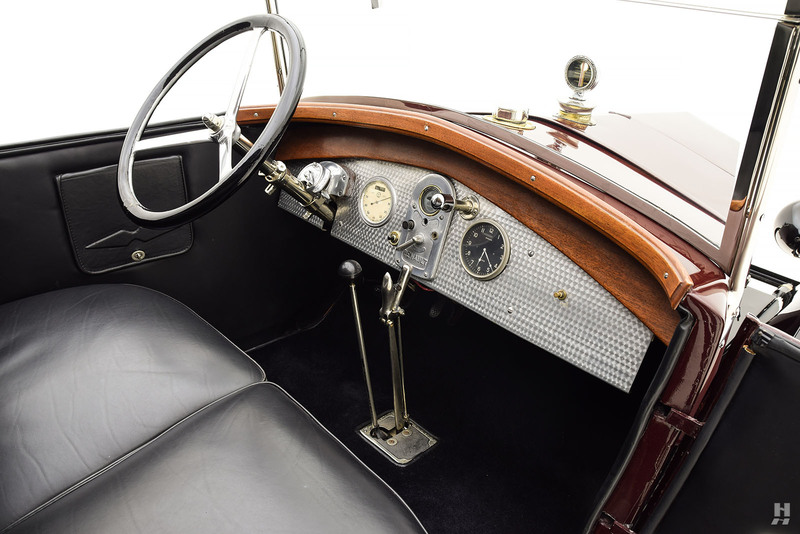 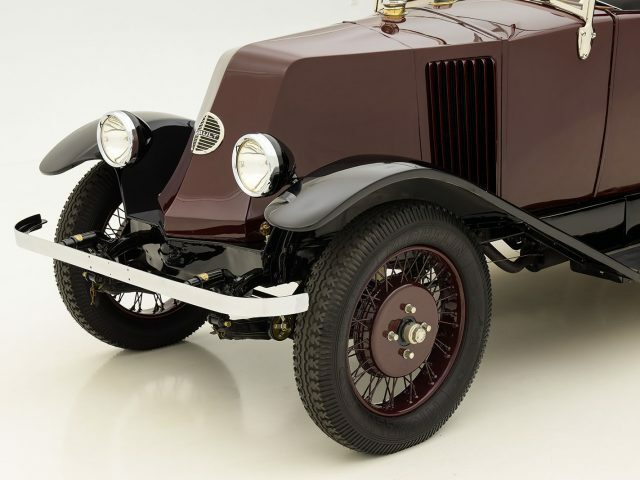 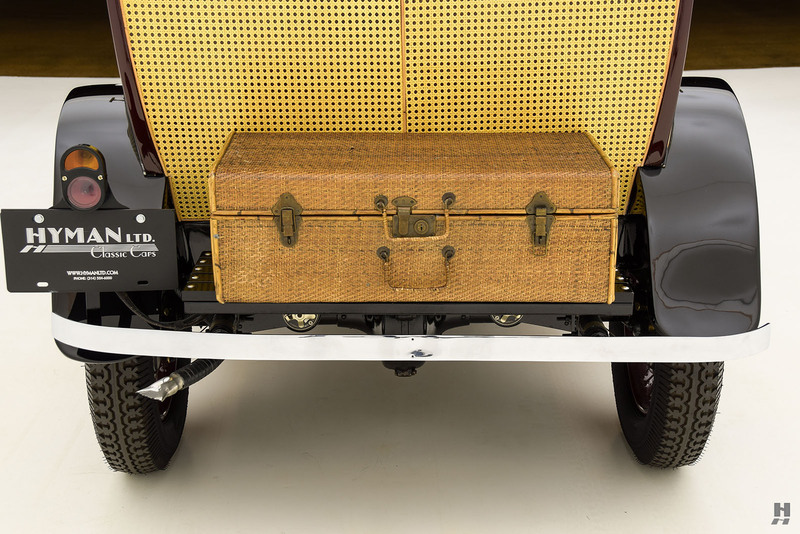 The intriguing history, rare and finely crafted coachwork, and copious amounts of charm combine to make this adorable Renault NN a most desirable collector piece.